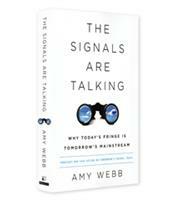 Noted futurist Amy Webb reveals a systemic way of evaluating new ideas, focusing on “signals” that foretell the future but often go unnoticed because they are on the fringe. Learn how to distinguish a real trend from the merely trendy. Webb convincingly shows that the future is not something that happens to us passively. Instead, she allows us to see ahead so that we may forecast what’s to come, thereby challenging us to create our own preferred futures. There is “no reason for any individual to have a computer in their home.” “The personal computer will fall flat on its face.” With the benefit of hindsight, it is easy to smirk at these quotes from 1977. However, the person responsible for both quotes was not some anti-technology Luddite. Kenneth Olsen was the founder of Digital Equipment Corporation, or DEC, and one of the first people to conceive and build a computer meant to be used by just one person. The establishment of ARPANET (Advanced Research Projects Agency Network), a network of computers linking programmers in several universities, and the development of Transmission Control Protocol and Internet Protocol (TCP/IP), which made it possible to remote-access the network. The appearance of personal computer models built by Atari and Commodore and a small computer built in a garage by Steve Wozniak and Steve Jobs. Programming advances that led to games created by programmers for computers; computer-generated graphics; a digital bulletin-board system to post messages. These quiet but eventually significant events are examples of what Webb calls “signals” that foretell the future but often go unnoticed because they are on the fringe. From Olsen’s “mainstream” perch at the head of a multibillion dollar company, he never saw these signals on the fringe that would cause his company to disappear by the end of the 1990s. One valuable process for those trying to decipher the future, according to Webb, is to create probable, plausible and possible scenarios, which can help clarify and organize those trends — and separate the trends from the ephemeral “trendy.” A probable future is based on a trend that is likely to continue given the technology already developed and what is currently being developed in labs. Trends in autonomous transportation, she writes, could mean that highways could take over the driving using the sensors in each car to avoid accidents. 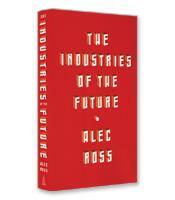 A plausible future combines a current understanding of the trend along with the laws of science and the parameters of business, government and society to envision a future that theoretically could exist. For example, Webb imagines a skyway — a designated highway in the sky — in which people could cover short distances in flying “discs” of one, two or four passengers. 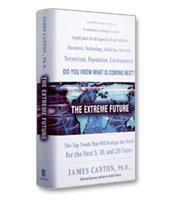 A possible future is neither probable nor plausible. Teleporting (Beam me up, Scotty) based on quantum mechanics won’t happen in our lifetimes. But Webb asks, who is to say that the laws of the universe won’t be rewritten sometime in the future? “pressure-testing” your action to make sure the trend will deliver the desired outcome. Filled with fascinating stories and girded by Webb’s methodology, The Signals Are Talking is a valuable manual for any person or company that wants to win the future.